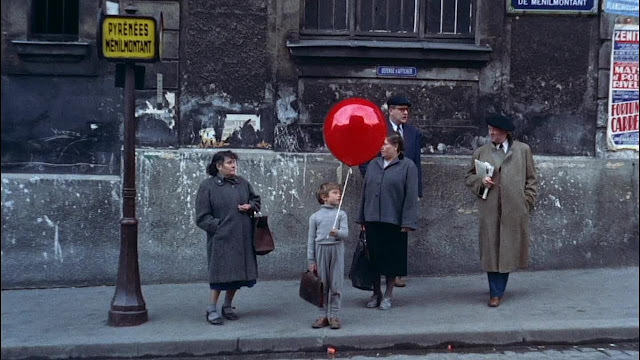 My earliest memory of seeing a film at school was "The Red Balloon". It had to be first grade when I first saw this movie. Found it fascinating and compelling. It seems to me that it was black and white back then... I accidentally ran into this film again the other day on You Tube. This video looks colorized to me. It still stands the test of time. Even without English subtitles, you know what the little French boy and his balloon are thinking.. So if you have never seen this great film which won every award possible in 1957, by all means watch this video. Show it your children and their children. So happy I was able to revisit this magical film...Pascal was such a darling little boy. 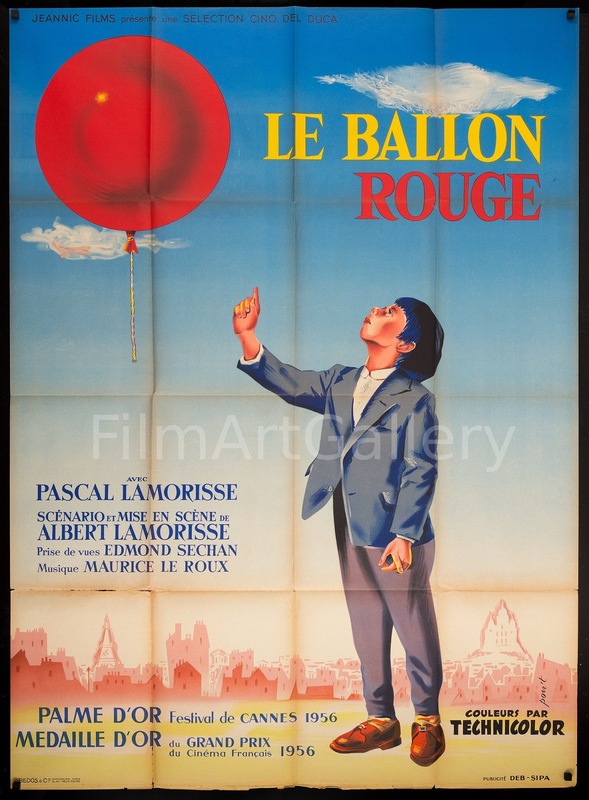 The Red Balloon (Le Ballon rouge) begins with young Pascal walking to school alone in gritty inner-city Paris. he finds a large red balloon attached to the top of a lamp post and rescues it. The balloon is then his companion. Everywhere the balloon goes, it causes Pascal trouble. It shortly becomes apparent that the balloon is sentient, and appreciates Pascal; it waits for him outside his apartment and reluctantly obeys his command. The balloon is a metaphor for the whimsy of childhood. Regardless of any problems it may cause, the viewer always knows that Pascal is better off for having its company. The Red Balloon (French: Le Ballon rouge) is a 1956 fantasy featurette directed by French filmmaker Albert Lamorisse. The thirty-four minute short, which follows the adventures of a young boy who one day finds a sentient, mute, red balloon, was filmed in the Ménilmontant neighborhood of Paris, France. It won numerous awards, including an Oscar for Lamorisse for writing the best original screenplay in 1956 and the Palme d'Or for short films at the 1956 Cannes Film Festival. The film also became popular with children and educators. Lamorisse used his children as actors in the film. His son, Pascal Lamorisse, plays Pascal in the main role, and his daughter Sabine portrays the little girl. This is my FAVORITE movie, period! I own a copy of it, and the book, also. It used to be shown around Thanksgiving and we saw it in elementary school. It moved me to tears as a child and still does. How can one not get it? It's about the enduring love of true friends, even if your friend is a magic balloon. You don't abandon your friends, no matter what the difficulty, or the temptation (the girl with the blue balloon.) 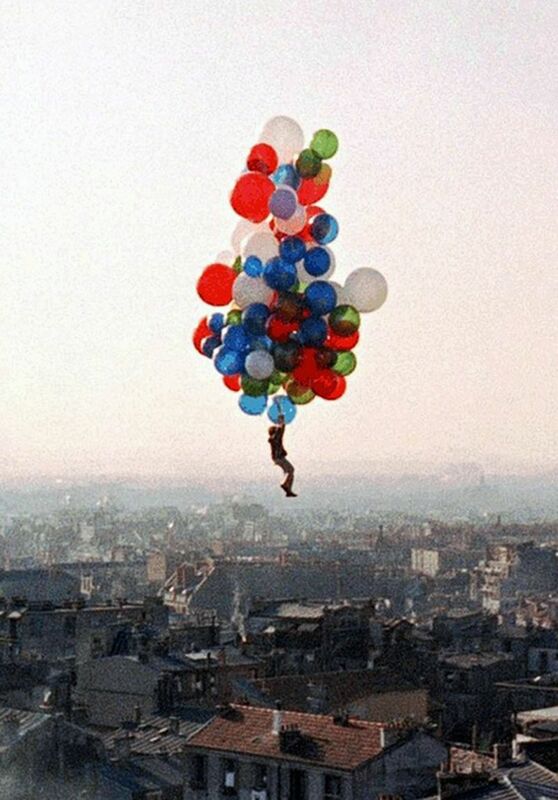 The red balloon could have escaped and left Pascal in the hands of the rough boys, but the balloon chose to stay, and paid the ultimate price. That love is what drove all of the balloons in Paris to rally around Pascal and take him on a trip around the world. 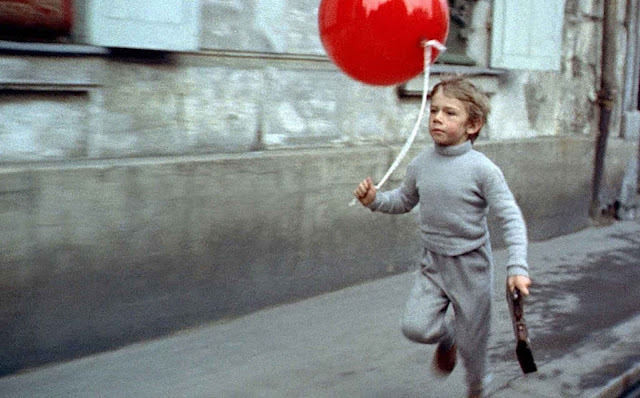 I just showed The Red Balloon to the 3 and 4 year olds that I babysit; they love it and 'got' it. I love this movie too. I remember my mother taking my sister and myself to the Baltimore Public Library to see this.